Couples in the Napa and Sonoma Valley are always looking to make their wedding day as special as possible. Between looking for the best catering, best destination and best photographer – couples and families are going to great lengths to ensure that this special day is in fact as special as can be. We at Apex Limousine Service are proud to regularly be a part of these memorable wedding days celebrating love and life with our comprehensive car service for wedding day limousine services. No matter where in the Bay Area the wedding is being planned Apex is able to cover all of your wedding transportation needs. Having participated in many wedding limo service in all corners of the Napa and Sonoma Valley, our fleet of wedding limousines and professional limousine drivers are the perfect compliment to your elegant and beautiful wedding day. We begin by exploring the specific wedding car hire plans with the couple, family or wedding planners in charge of developing the wedding day itinerary. We then explore the best way for our Napa limousine services to compliment your special day. We then decide together on the number of limousines and exact size of each wedding limos vehicle your day celebration will need. Once all of the specifics are planned out we come and provide excellent luxurious and special transportation for you and your wedding party on one of the most special days of your entire life. Apex is a favorite Napa Valley company among couples planning wedding limousine service due to our consistency, professionalism and beautiful limousine vehicles. Our staff of drivers are professional and warm and add an extra layer of prestige to your wedding day. Adorned in suits, our wedding limo drivers make sure to follow the wedding day itinerary word for word. Once the wedding day plans are developed we make sure to review them with our wedding car drivers at length so there are never any mistakes about plans, routes or other details. Our Napa limousine drivers are professionals and take their jobs seriously. This reflects in how they approach providing transportation services and wedding transportation ideas on your wedding day. Our fleet of vehicles are both romantic and luxurious and perfect in making your wedding day that much more special. With a wedding cars fleet that ranges from small to large they are capable to fit any number of guests in any vehicle. Each one is fitted with luxury surround sound equipment, drinks and an incredible leather interior. This combines to make any drive – no matter how short or long – that much more special. We have driven our limousines to wedding sites all over Napa Valley and Sonoma Valley. Our knowledge and presence in the Bay Area has made us the Napa Valley’s number one go to limousine provider for wedding days of all sizes. We understand what it takes to make a wedding day special – for this reason we always make sure to go the extra mile and bring luxury, professionalism and beauty to you and that special someone on your wedding day. While we always try to closely coordinate with whoever is planning your special wedding day we also make sure not to step on anyone’s toes or impose a vision that counters what you and your wedding planning team desire. We see our role as the provider of incredible wedding day transportation as supportive and flexible – willing to work wherever and however you desire to make your wedding day the best day it can be. Our limousines are perfect for all types of weddings and are available for all day or just evening affairs. Our drivers are experienced with the flow and scheduling of wedding transportation and know exactly what to expect. If you need our transportation services for practice in the days leading up this can be arranged as well. With a deep knowledge of the Napa Valley and Sonoma Valley wine country our services are available everywhere and anywhere. But if you’re looking to have a more city-centric wedding our limousines are the perfect compliment to a San Francisco or Oakland wedding as well – we have done many of these in the past and know the ins and outs as far as perfect driving routes. For those looking for something a little more special and unique we have provided our services for countless weddings in the wine country. 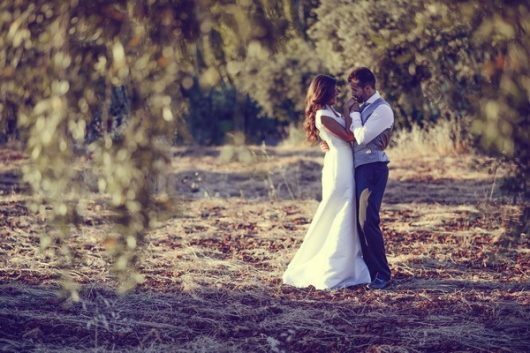 The Napa Valley is a pristine location for a wedding that combines the best of the rural environment with top of the line dining and wines to choose from. The Sonoma Valley and Livermore Valley both also have very beautiful destinations for wedding day celebrations and ceremonies. We also want to ensure all of our clients that our limousine services are also available to pick up and drop off out of town wedding guests at any of the Bay Area’s major airports. We provide quality, luxurious, limousine services to and from SFO, OAK and SJC. This addition to your overall wedding day transportation plans allows for your guests to step into a luxurious and relaxing event from the minute they arrive in Northern California. We always know how to treat our clients and extend that same warmth and regard to your wedding guests as well. Here at Apex we offer much more than a simple transportation service – we offer an experience you will never forget. Our limousines will bring out the best in your wedding day every single time. So please remember that for your wedding day limousine needs Apex is here – call us today!